I like the horizontal crop. Lose the dude though. good use of leading line. roll your mouse til the tallest hill barely clears. that's all the sky you need when its blank. 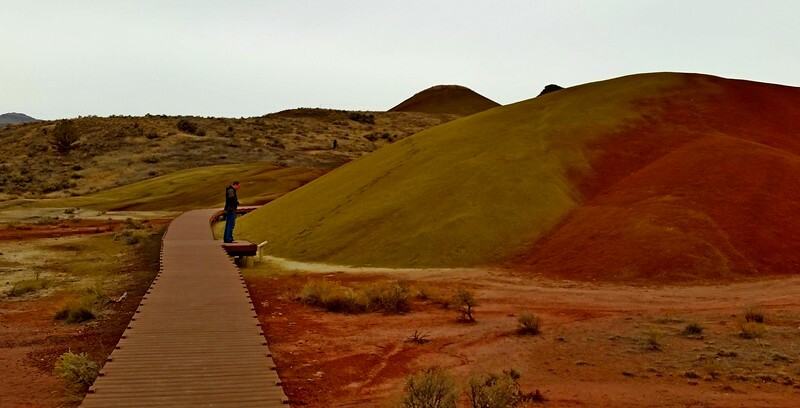 Painted hills, oregon...not much sky.